concerts/lectures in October and November in the Forum, Building 3, at the Rock Creek Campus, 17705 NW Springville Road, Portland. All concerts begin at 7:30 p.m. The concerts are presented in conjunction with the Tuesday evening Music Appreciation class and are open to the public. A donation is appreciated but no one will be turned away. The concerts are free for PCC students. Parking is $2 (permits available at parking machines). The series is sponsored by a Beaverton Arts Program Community Grant. The series continues through 2019.
music. The two-dozen member orchestra plays mandolin, mandola, mandocello and mandobass – all the varied voices of the mandolin instrument family. Acoustic guitars and upright string basses occasionally round out the mix. For more information, please go to: https://www.oregonmandolinorchestra.org/. Seffarine is a duo with Moroccan singer Lamiae Naki and oud player and flamenco guitarist Nat Hulscamp. Seffarine presents the music of classical Arabic and Andalusian music as well as original compositions influenced by cultures including Spanish flamenco, classical Persian music and American Jazz. Their CD, “De Fez a Jerez,” is listed in the top 20 best world music releases by the Transglobal World Music Charts, a panel of 43 world music experts. For more information, please visit the band’s website at http://www.seffarine.com/. 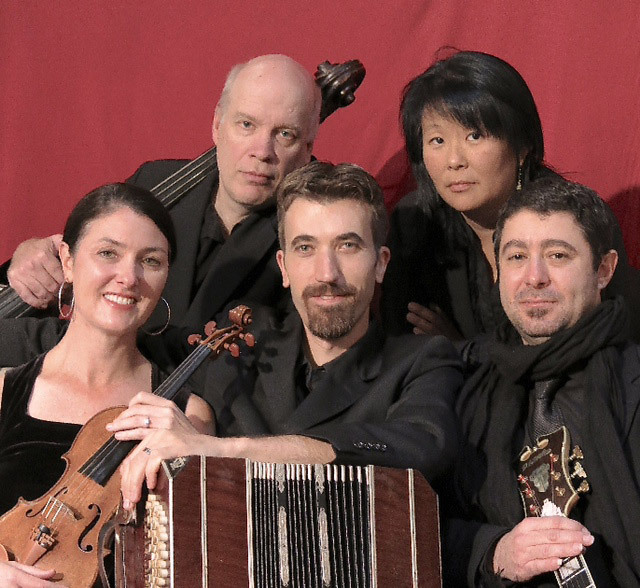 Tango Pacifico is a Portland-based group performing the music of Argentinian master Astor Piazzolla. Piazzolla revolutionized the traditional tango by creating a new style of music called tango nuevo, incorporating elements from jazz and classical music. The Portland-based group was formed in 2001 by Oregon Symphony Assistant Concertmaster Erin Furbee and includes Oregon Symphony bassist Jeff Johnson and John Mery on guitar. The concert will also feature guest pianist Lydia Chung. For more information, please go to http://tangopacificotheband.com/index.html. Tim Connell is recognized as “a world-class mandolinist” by Mandolin magazine and is a graduate of the New England Conservatory of Music. He regularly tours Europe and North America and is also a member of the acclaimed Portland groups Stumptown Swing and Rio Con Brio. Often billed as an acoustic jazz guitarist, Eric Skye actually occupies a unique niche between Americana, jazz, and blues. Their latest release, June Apple, is a unique and unexpected take on traditional American fiddle tunes arranged for mandolin and guitar. For more information, please visit http://ericskye.com/tag/tim-connell/.